It’s not something we like to think about too often, but any farmer can be disabled or find themselves in circumstances that make keeping birds impossible. Who will take over for you if you can no longer care for your birds? Every poultry keeper should have a succession plan in place, and it’s especially important for those who are keeping heritage breeding flocks. Make a plan before events create a crisis. 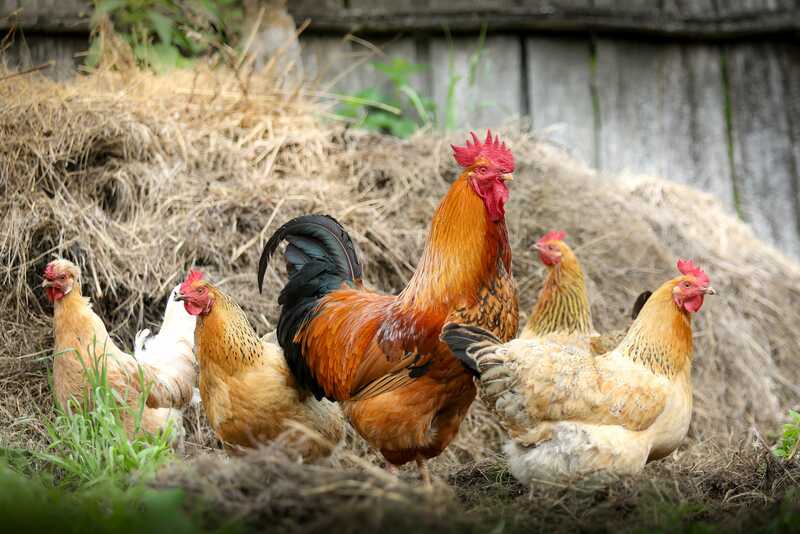 As a smallholder with a backyard flock of mixed breeds, you’ll want to be sure they get the care you committed to providing when you acquired them. They are living beings who require human supervision. They depend on you for food, water and shelter. Heritage and exhibition breeds that have been lovingly nurtured over many generations, meanwhile, have value beyond the meat and eggs they produce. Their genetic heritage contains both known and unknown qualities that can only be conserved in those living flocks. Californian farmer Walt Leonard has a flock will. “If you are a decent breeder and have some time in with these birds, you should think about what is going to happen to your birds when you are gone,” he says. Leonard has designated a friend, who will then divide up the flock, leaving his birds to colleagues who will know how best to care for them. His current flock comprises about 500 birds, including both waterfowl and chickens. He has Call, East Indies, White Runner and Magpie ducks, and China, Sebastopol and Egyptian geese. He keeps many breeds and varieties of bantams, including two colour varieties of Modern Games, brown red Old English Games, both black and blue Sumatras, Dutch and Ko Shamos. He keeps Nankins to support kids who are involved in the US’s nationwide 4-H programme of agricultural mentoring. He also keeps large fowl Rhode Island Reds, New Hampshires, Shamos and Aseels. Heritage breeders are as rare as the birds they husband. Those who have kept their birds over the second half of the 20th century have a resource beyond dollar value. Passing on their stock of both birds and knowledge to 21st century breeders who have established their own reputations for thoughtful breeding and careful stewardship can provide a bridge to the next generation. Suzann Chung, who breeds Shamos and Ko Shamos in California, made some decisions for her flock after witnessing the loss of carefully tended flocks due to their breeders’ death or disability. Back in 2009, Ryon Carey of Kansas took on buff, black, white, dark brown and light brown Leghorns, Anconas, Andalusians and white-faced black Spanish birds from an elderly Missouri breeder. They talked about it over the birds they were showing at the Kansas State Fair. This older breeder decided it was time to let others carry on his legacy of 50 years of breeding. When the older breeder became incapacitated due to ill health, Carey took the birds, all Mediterranean egg breeds that lay lots of large white eggs, back to his farm. He’s keeping them all, working on improving them and selling eggs. They now lay enough eggs that he can supply his restaurant customers with 50 to 150 dozen every week. He works closely with Frank Reese of Good Shepherd Poultry Ranch in Kansas and P Allen Smith of Moss Mountain Farm in Arkansas on flock improvement. He also has farm assistants who would be able to step in and help the birds make the transition to other keepers. “It doesn’t take very long for your line to disappear,” says Carey. To safeguard against this, he recommends keeping separate lines of a breed, to provide diversity within uniformity – since separate flocks, bred to develop individual lines of a breed, strengthen the breed as a whole. The Missouri breeder, who asked not to be identified, has since recovered from his health problems and still keeps chickens and ducks. He supplied Carey with 25 dozen Leghorn eggs – buffs, blacks, dark browns and whites – for this hatching season. Carey started keeping Leghorns on Frank Reese’s advice. He foresaw the day when Standard Leghorns would be replaced by industrial strains. The white Leghorns kept by the egg industry are hugely degraded from the traditional standard: their tails may be pinched, with a severe break. Hens should weigh 4.5lb, roosters 6lb - but those sizes are not valued by industrial producers. “These weigh a pound more than their industrial cousins,” he said. Carey continues to work to improve size and egg production on the Leghorns. He is breeding the light brown Leghorns to make silver Leghorns. Their colour is coming along well, but they remain at about three-quarters of the size they should be. The blue Andalusians maintain the distinct lacing on their feathers that can be lost to careless breeding. The blue colour presents problems because it doesn’t breed true. On average, only half of the offspring will have the blue colouring. A quarter will be black and the last quarter will be splash. Carey also trades white-faced black Spanish birds with Smith, to improve both their flocks. Carey is expanding his meat-bird operation in a newly acquired building on land a few miles down the road from his farm. He anticipates raising between 1,200 and 1,500 Barred Rocks and New Hampshires at a time, growing them out for 16 to 18 weeks. They will be fryers for the Siena Tuscan Steakhouse in Wichita, Kansas, which features his chicken, sold under Frank Reese’s Good Shepherd Ranch imprimatur. Finding the right person to take on the responsibility of your flock before a crisis arises is important for poultry keepers and their families. Spouses and significant others often wouldn’t be up to the job of caring for the flock. Experts such as Leonard, Chung and Carey evaluate aspiring poultry keepers even for decisions on selling their birds. “They have to somehow convince me that they are going to do a good job with them,” says Leonard. That holds true especially when the entire flock is being transferred to a new keeper. Make plans for a smooth transition for all concerned. Heritage breeds, whether recognised by the Standard of Perfection or not, are packages of genes and characteristics that have succeeded over the years. Keeping those flocks strong is the bridge to future poultry success. Christine Heinrichs is the author of How to Raise Chickens, How to Raise Poultry, and The Backyard Field Guide to Chickens, Voyageur Press, all of which focus on raising traditional breeds in small flocks.